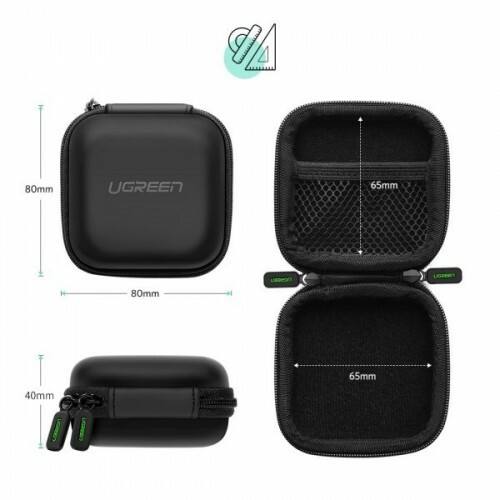 UGreen Hard Disk Case Earphone case is mini Shockproof Carrying Pouch Bag for AirPods/Bose/Beats/Sony Wireless Earbuds Bluetooth Headphone, Square Reader,Wall Charger USB Flash Drive Bluetooth Adapter USB Cable. 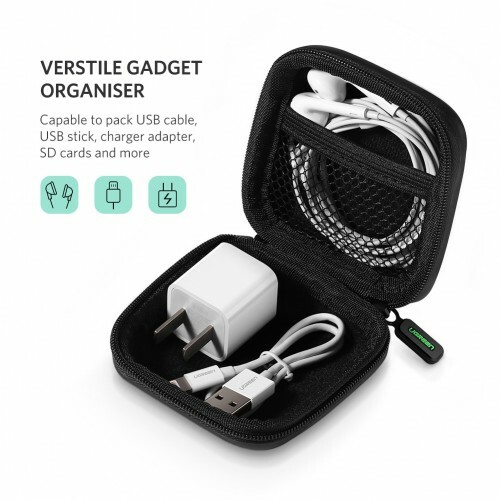 This Product dimensions is 3.15 x 3.15 x 1.57 In ,Inner Dimensions: 2.56 x 2.56 x 1.2 In and Weight is 0.81 OZ .On traveling purpose you always want to have your music or some important gadgets with you.This schokcproof and water-ressistan t storage case could do it for you.It can provide a good protection for your Mpow/Powerbeats/AirPods and other Wireless Earbud/Bluetooth Headphone/Headset/Wall Charger/USB Flash Drive/Bluetooth Receiver/MP3/SD Cards/Coins/Key/USB Cables,etc. 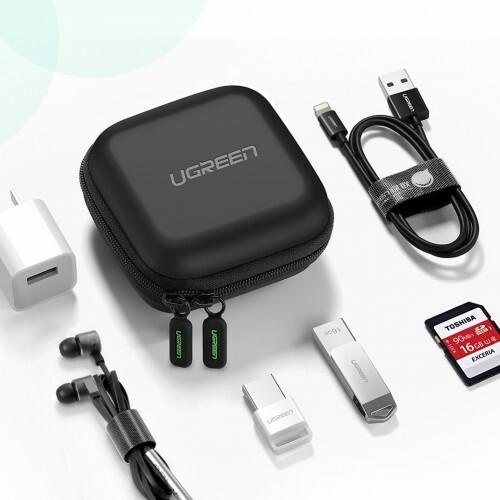 in your daily life or on travel. 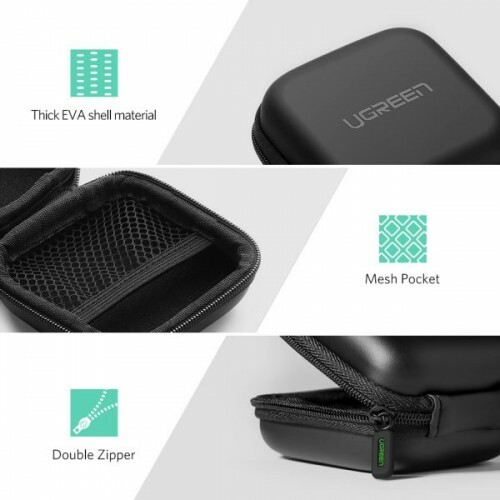 This case Designed with a shockproof and Water-ressitant EVA hard outshell and soft inner linner, this case could avoid damage for your headphone or small gadgets from accident drop or rainy day.